The Chicago personal injury and wrongful death lawyers at the Corboy & Demetrio law firm have represented victims who have been injured, burned or killed in some of the most complex and serious cases arising from fires and explosions. Our success has been outstanding. Our personal injury and medical malpractice work has been exceptional and has resulted in record-setting verdicts and top settlements for our clients. We have acquired over $4 billion in settlements and verdicts and have attained nearly 600 settlements and verdicts in excess of $1 million. Our skilled Chicago attorneys have experience in all areas of fire, explosion and burn injury litigation, including residential, commercial and mass transit fires, natural and propane gas explosions, and oil, chemical and electric burns. Below is a sample of the results we have achieved in fire, explosion and burn injury cases. 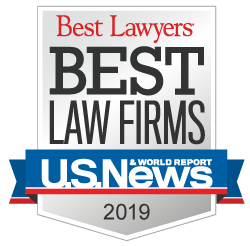 $31 Million for Families of Victims of Chemical Company Explosion and Fire Corboy & Demetrio attorneys represented eight families of workers who were either seriously injured or killed at the Quantum Chemical Company in Morris, Illinois. Corboy & Demetrio attorney Philip Harnett Corboy, Jr. secured an $8.5 million settlement for the family of a fire inspector who was burned and killed when a transformer he was inspecting in an electrical vault in a Chicago area Neiman Marcus store exploded, causing a fire. In a pre-trial mediation conference, Corboy & Demetrio Managing Partner Robert J. Bingle obtained a settlement of $10 Million for the families of three men killed as they were stacking railcar containers at a railroad yard in Chicago when a crane came into contact with overhead electrical wires. A young man, 35 years-old, suffered third-degree burns over 90 percent of his body when a 55-gallon drum which had previously contained Satin Cement Seal exploded as he approached it with an acetylene torch. He had emptied the barrel three days before and believed it to be dry. He was hospitalized for eight months and underwent seventeen skin grafting procedures. Partners David R. Barry, Jr. and Robert J. Bingle represented the young man and his wife in the $7.25 million settlement of their case against the Texas chemical company. For a free consultation with an experienced, skilled and successful personal injury lawyer from the Chicago law firm of Corboy & Demetrio, call 888.364.3191.